From the late ‘50s through the early ‘70s—before hip hop and more modern mutations of basic rhythm & blues came around—that essential American musical style known as soul music was the common language of America’s youth. While its origins were borne from the black experience specifically, its sound proved the counterpoint to the then-upstart insurgence of rock ‘n’ roll, which like soul music, was an offshoot of R&B, but decidedly more rebellious in its intent. Motown and Stax provided the fertile testing grounds, but it was soul’s universal appeal, its communal bond and common sense of celebration that allowed it to quickly overcome the racial divide of the civil rights struggle and become an institution appreciated by young people regardless of race, culture, or, for that matter, national origin. One needs only look to ‘60s England and the emphatic embrace soul enjoyed among the budding pop royalty that emerged from London, Liverpool, Manchester and all points in-between to fully appreciate its universal appeal. Sadly, soul music—at least the kind proffered by the greats like Otis Redding, James Brown, Aretha Franklin, Al Green, Wilson Pickett, Teddy Pendergrass and the like—has mostly fallen into disregard of late, its once seemingly sacred torch being carried by a relatively few revivalists intent on resurrecting an archival formula. Consequently, it’s refreshing to stumble upon a band like St. Paul & The Broken Bones, an outfit that seems to mine the very fiber of that classic soul sound. Theirs is music of celebration, of exhortation, the sound of pure pop wholly detached from the over-the-top theatrics and political pontificating that’s stricken this once unflappable genre. While Sea Of Noise—the follow-up to their widely hailed debut, 2014 ‘s Half The City—doesn’t shirk from offering commentary on society’s failings, it doesn’t revel in them either. To the contrary, it attempts to rally its listeners to a higher calling where intelligence and inspiration take precedence over name-calling and accusations. Singer and frontman Paul Janeway exhorts his listeners to find that higher purpose that great music strives to attain. 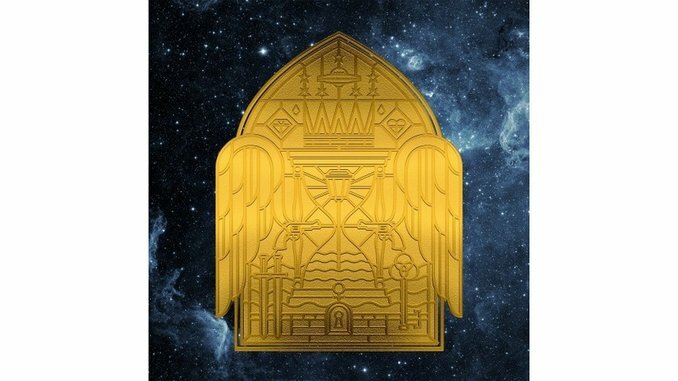 Like another of soul music’s revered roots, the rousing gospel sounds that gave congregations reason to look heavenward, St. Paul & The Broken Bones use their effusive, ecstatic revelry to rouse their audiences and encourage them to get caught up in a kind of aural delirium. That’s apparent on giddier numbers like “Midnight on the Earth” and “Brain Matter,” but especially so on riveting ballads like “I’ll Be Your Woman” (in which Janeway effectively switches gender perspective without hesitation), “Flow With It (You Got Me Feeling Like)” and “Tears in the Diamond,” songs that find him testifying with the tenacity of the most fervent bible beater. Little wonder then that he often brings to mind another great torch singer turned preacher, Al Green. Ultimately, Sea of Noise is a powerful testament to the unflagging power of music borne from faith and conviction. Indeed, that’s what it takes to make such an uplifting sound in today’s troubled times. For that reason alone, Janeway deserves to be crowned as a saint for all seasons.